We often hear that dogs see their crates as dens and therefore we assume that they must be naturally drawn to them and therefore seek them out for comfort, but how true is that? Last time we visited a pet store we overheard a store clerk recommending a crate for an owner who just purchased a puppy. The store clerk was emphasizing how puppies love their crates and easily adjust to them due to their strong “denning instinct”. We never figured out if this was just an astute marketing strategy and if the clerk really believed in his claims. Regardless, today we went on our quest to discovering if dogs really have this strong “denning instinct” as many pet store owners claim. “Denning is a natural instinct in dogs,” how many times have we heard this statement? First things first, what exactly is a den? From a human perspective, a den is often considered a small room, typically, a room that resembles a living room, but not that big to be considered a family room. In other words, it’s a place destined for comfort and tranquility. 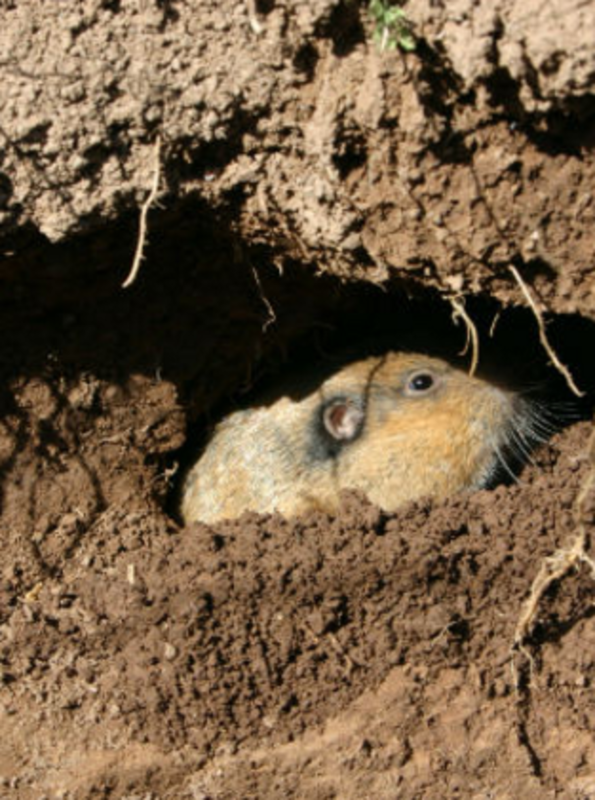 In the animal world, on the other hand, a den is a burrow, a hole that is built by some ground-dwelling animals who have called their den their home. Their dens are meant to keep them safe from predators, and warm and dry from the elements. What animals are the denning animals par excellence? Move over Rover, as last time we checked dogs weren’t part of this classification. Common den animals are gophers, groundhogs and moles, ground-dwelling animals who have made of their den, their primary residence. 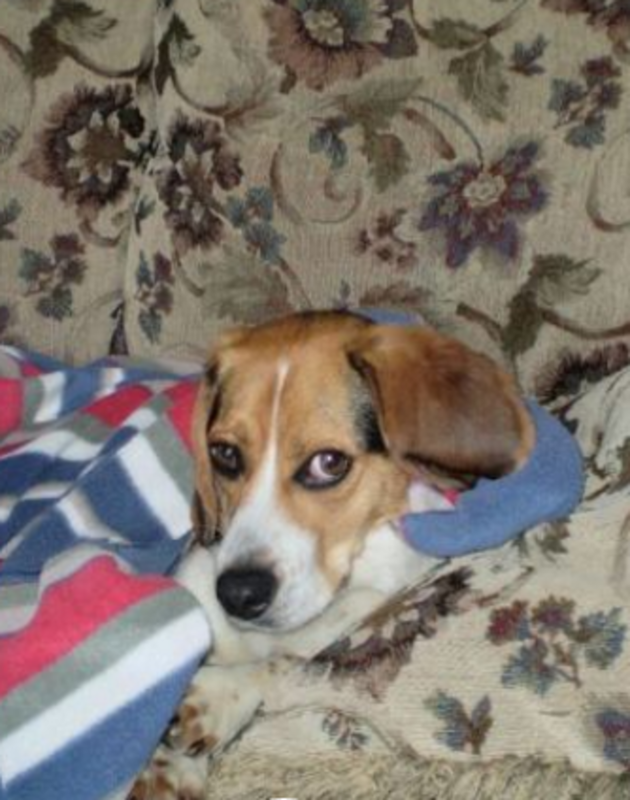 So despite the fact that some dogs may have an instinct to hide in small places, or love to snuggle in blankets, despite what people say, dogs are not classified as denning animals. Even if we look back, prior to when dogs were domesticated, there is no proof of them living year-round in their dens as the actual denning animals par excellence do. So don’t expect Rover to magically emerge from his den in Punxsutawney on February 2nd! So Where Did The Instinct Come From? Puppies are born in a helpless state. It’s normal to be wondering then how all these denning instinct stories have become so popular over the years. Well, there’s a half truth when it comes to dens and dogs. It perhaps all started because prior to domestication, the dog’s ancestors were raising their pups in what are known as “maternal dens.” Basically, when mother dog was getting ready to give birth, she would dig up a place to raise her puppies so they were safe, warm and dry. Puppies. being altricial, are born in a pretty much helpless state being deaf, blind and unable to regulate their temperatures, so the use of a den was a good choice to up the pup’s chances for survival. Even as today, mother dogs still retain the instinct to build a den. 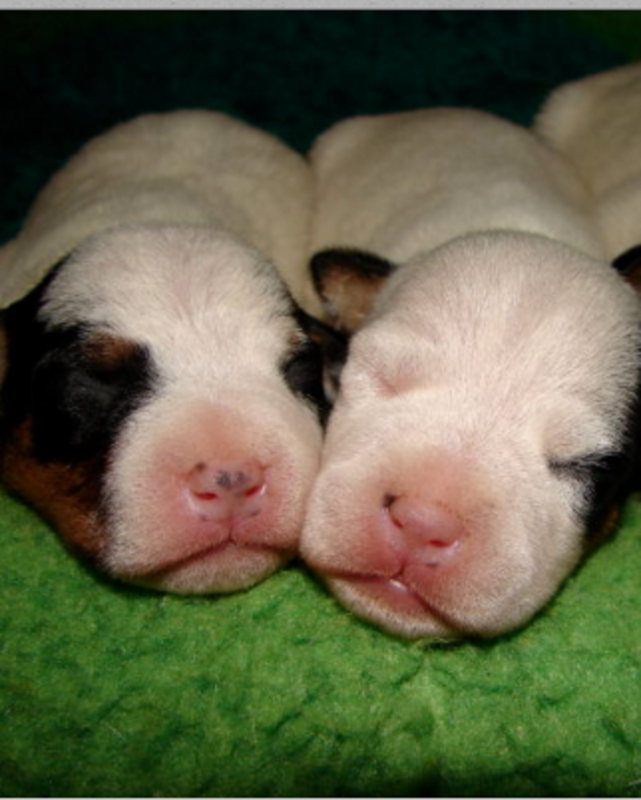 Owners of pregnant dogs (and female dogs going through a false pregnancy), often observe how, as the birthing day nears, their dogs are prone to start digging on couches, sofas and in closets for the purpose of building a maternal den. Because of the fact that puppies were once temporarily raised in maternal dens, we now assume that crates are the equivalent of dens, and as such, puppies should instinctively seek them. This has become a strong marketing propaganda where crates have often been compared to comfy dens. New puppy or dog owners may therefore stumble on an element of surprise, when after purchasing the crate they come to realize that their puppy or dog doesn’t like to use it as they hoped. This may cause frustration and some dog owners are so upset they give up using the crate or return it as if it was defective or perhaps believe their puppy or dog is “weird” since the denning instinct is not there. 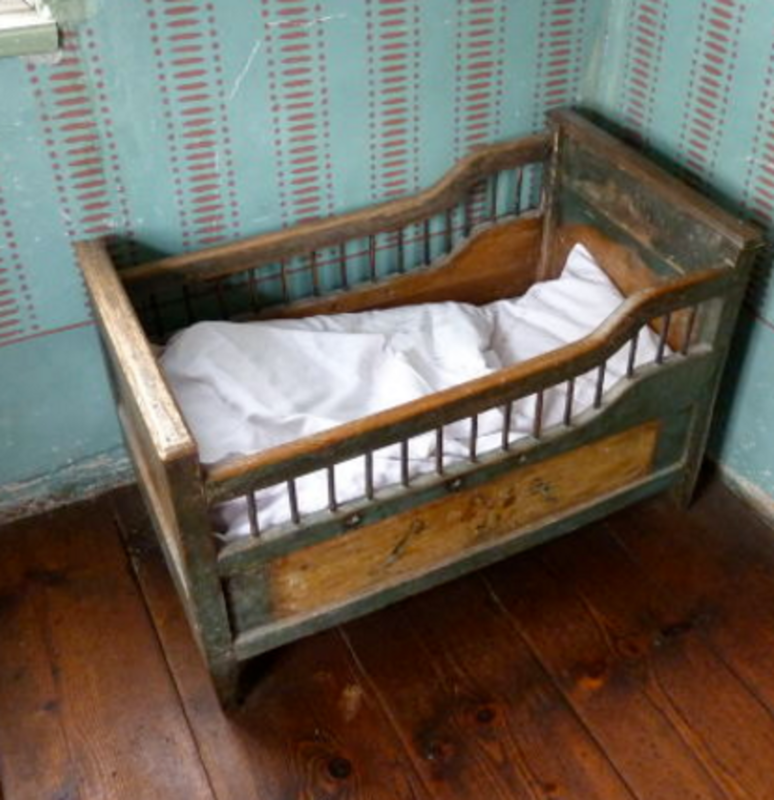 Truth is, there are many reasons why crates are not similar at all to dens. First off, dogs are domesticated and many centuries separate them from their ancestors, but even if certain instincts may have persisted, when puppies are introduced to crates they are way past the age of when puppies in the wild were using maternal dens. Most puppies are welcomed to their new homes around 8 to 12 weeks of age which is when in nature, a dog’s ancestors are coming out of the den and are starting to explore their open- air rendezvous areas! No wonder why puppies aren’t naturally drawn to them and would rather stick around their family to explore their new surroundings and play! While dogs are not wolf pups (see differences between wolves and dogs for more on this), still, sticking a puppy in a crate at this age is similar to putting a toddler back into a crib, right when he was getting the chances to enjoy the exhilarating sensation of exploring and walking around! So What are Crates Then? This explains why many puppies and dogs require a period of adjustment to start accepting their crate and why many dogs who were never used to a crate won’t instinctively start loving it just because of the “denning instinct.” Shoving a puppy or adult dog in the crate and expecting them to be happy in them is a tad bit unrealistic. 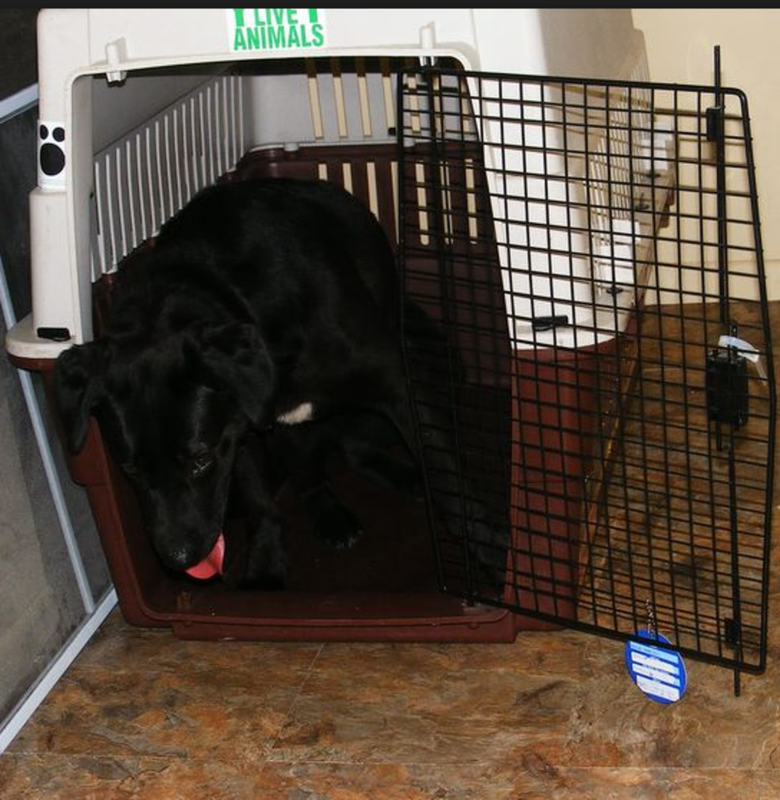 It’s therefore important to create positive associations with the crate so that the puppy or dog doesn’t feel trapped in a place with no way out and starts to panic. For dogs who have been kenneled in a shelter for possibly days, weeks or months a crate is the last place they want to go, especially since a crate is much smaller than the average kennel. Even puppies are often hesitant to enter a crate for the the very first time and may need some coaxing such as placing treats, a soft blanket or a toy to perk up their interest and reduce their tentative approaches. Keeping the crate open at first is advisable so to not make the crate appear like a trap with no way out. With patience and positive associations, most puppies and dogs can learn to accept the crate just as they do with collars and leashes and crates can be used to confine them temporarily. And just as a reminder, a crate should not be used as a place to send the dog for punishment, unless you want the perfect recipe for a dog who hates it! But My Dog Loves to Seek Out Den-Like Enclosures! Many people may attest that their dogs naturally seek out a place where they can feel safe and comfy, so does that mean that he has a natural denning instinct and would do well in a crate without any need to give him time to adjust? Not necessarily. Fact is, when a dog goes under a table or chair when he feels overwhelmed by the grand kids or is scared of thunder, that’s triggered from a normal instinct to hide. Even cats do this when they are scared or looking for a quiet place to curl in a ball and sleep, and cats are definitively far from being den animals! While it’s true that dogs used to make their soft sleeping areas by stepping on tall grass and it’s true that dogs often dig holes in the dirt to cool off in the dog days of summer, these sleeping areas are a far cry from a crate. They are not made of plastic, but most of all, dogs go to these places voluntarily and they do not have a door that locks them up and fails to open for indefinite periods of time. And while it’s true that many terriers and dachshunds are drawn to sleeping under blankets, according to Dr. Brenda Forsythe, a certified applied animal behaviorist, these dogs are naturally attracted to cuddling under fluffy comforters because they were actually bred to burrow. Other theories have it that dogs are attracted to “cavelike slumbering under blankets” simply because they are looking for warmth or have a desire to snuggle with their family, and yes, it has also been theorized that it may be a leftover trait from when in the old days pups were raised in small, dark maternal dens. However, once again, this doesn’t mean all dogs will come to love their crates without any previous conditioning to help them like them. This article is therefore simply to debunk the over-inflated notion that dogs perceive their crates as dens because they are denning animals by nature.